As you arrive in Signapore, meet our tour representative who helps you with an assisted transfer to your pre-booked hotel. You can start your tour by indulging in shopping. 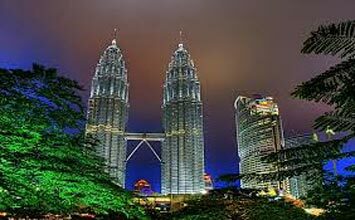 The night is scheduled for Night Safari, in the well-known night zoo. Spread in 40-hectare of land, this jungle offers you a chance to spot as many as 1200 nocturnal animals. Get onto a tram that takes you from the Eastern side of the jungle to the western side where natural environment has been created for animals, from Indian Subcontinent to Himalayas to the Southeast Asian Rainforest. Once the tram ride is over, the accompanying guide takes you on a walking trail to view animals closely. Back to the hotel for an overnight stay. Begin the day with a refreshing breakfast in the hotel. Gear up for a fun-filled half-day tour of the city. Your first stop is the Merlion photo stop. Next stop at the Suntec City, an exciting shopping delights. Take rest at the Fountain of Wealth. Proceed to the exciting shopping destinations of Orchard Road, Little India and Chinatown. These locales are famous for bargains. Rest of the day is at leisure. Return to your hotel for overnight stay. Begin your day leisurely. Have breakfast in hotel and enjoy your own activities. 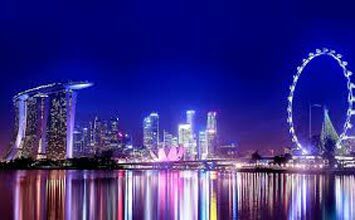 In the afternoon, proceed on a Sentosa Twilight Tour. 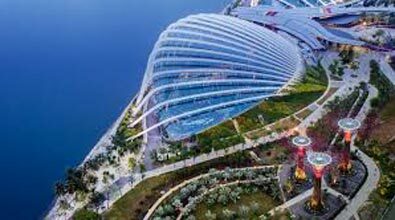 The tour includes a one-way cable car ride, admission ticket and visits to the SEA Aquarium, Merlion Tower, and Wings of Time show. Sentosa is a tropical island, themed park with natural beauty, heritage and adventures all rolled into one. Have a great time on the rides. After the day of entertainment return to the hotel for overnight stay. Today after a breakfast, the day is free for your own activities. Overnight in Singapore. After breakfast, spend the day at leisure. Later, get an assisted transfer to the airport to board flight back home.